FEATURE – Christmas-themed activities this time of year are a given, but what does one do for fun in between those activities or after they’re over? The tagline of 1960s Utah’s Dixie tourism boosters was, “Where the summer sun spends the winter,” which is an indication that one would still feel comfortable engaging in outdoor activities in the winter; and that is certainly true. With a light jacket on, Southern Utah’s winter temperatures in the high 50s and low 60s are definitely tolerable. But to truly enjoy all of what winter has to offer in Southern Utah – including snow – one must travel to Cedar Mountain and its vicinity. The following guide suggests activities to do with or without snow this upcoming winter season. It does not include specific events, but recommendations on possible fun activities for the entire family. 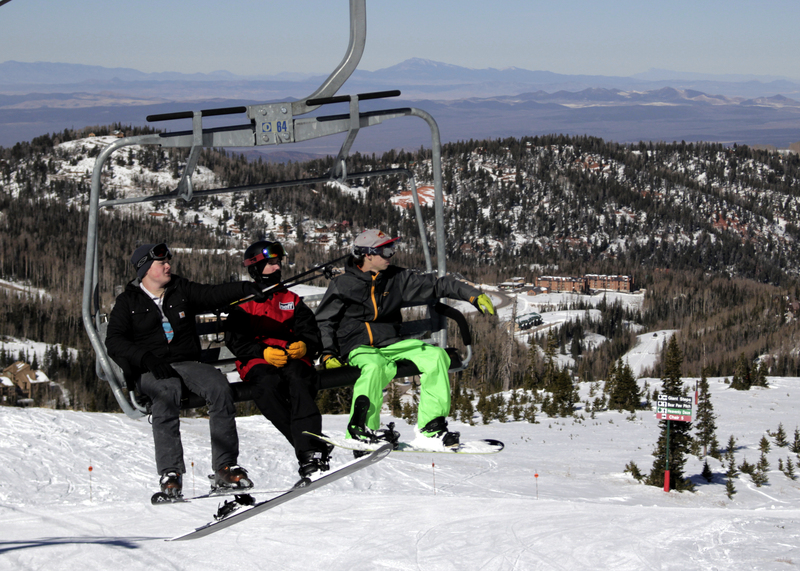 Skiing is a favorite winter recreational pursuit for many and the two Southern Utah ski resorts, Brian Head, now open, and Eagle Point, which opens Dec. 17, offer the chance to shred Utah’s legendary powder for a reasonable price compared to resorts along the Wasatch Front. If one wants a completely different perspective on Southern Utah’s scenic alpine beauty, snowshoeing and cross-country skiing are two ways to experience it. They’re basically equivalent to hiking in the winter. A mecca for doing both activities is the Deer Hollow Winter Recreation Area within the Dixie National Forest, which has approximately 23 miles of groomed trails for all ability levels. It is located 22 miles east of Cedar City on state Route 14. 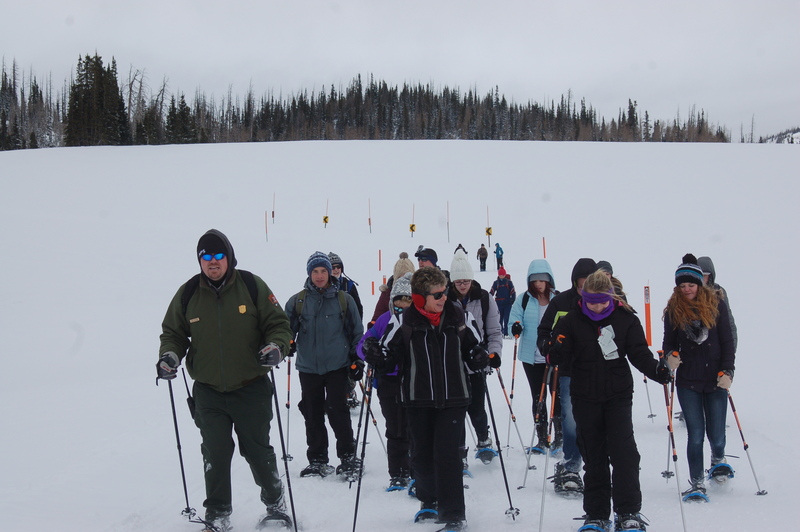 One of the best places for snowshoeing and cross-country skiing information, including where to rent equipment, is a website maintained by the Cedar Mountain Nordic Ski Club. A great rental bargain source is the Southern Utah University Outdoor Center, which rents snowshoes ($6 for adults, $3 for kids). An excellent beginner’s trail for both activities is the Bristlecone Pine Trail, located just after the major ascent up Cedar Canyon and near the turnoff to Cedar Breaks. One does not have to ski to have fun at Brian Head. 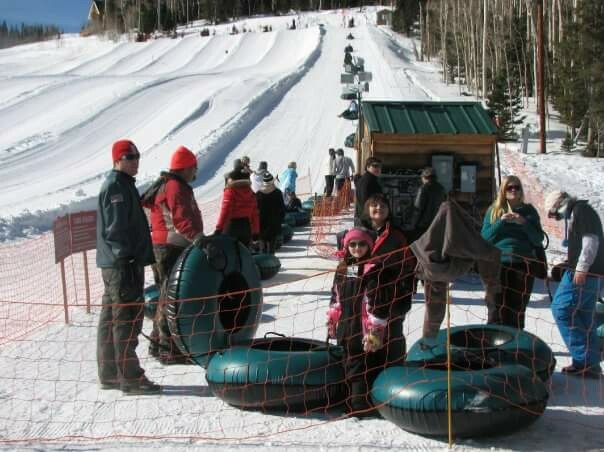 Tubing is another way to enjoy some winter fun at the resort and its more cushioned than traditional sledding. The beauty of tubing at Brian Head is that participants don’t have to walk back up the hill – there is a lift that does all of the work. 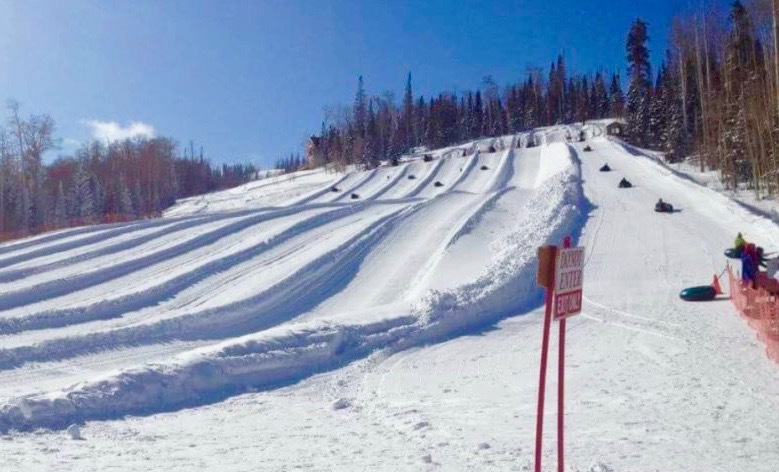 The tubing parks are located near the Giant Steps Lodge (open every day) and at the Navajo Lodge and Learning Center (open only on weekends). Sold in hour-and-a-half sessions, reservations are strongly encouraged to ensure a spot at one’s preferred time. Tubing is open every day at the Giant Steps tubing park, and at both tubing parks during weekends and holiday periods. Visit the website for more information. Walking up the hill with one’s own sleds or tubes is another way to enjoy some fantastic winter recreation. The most popular sledding spot in the area is Wood’s Ranch, located 12 miles up Cedar Canyon east of Cedar City on SR-14 and maintained by Iron County Parks and Recreation. 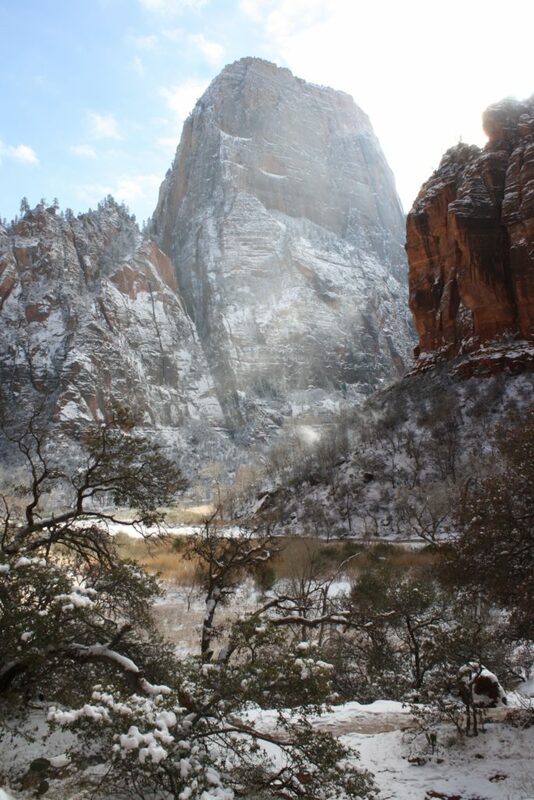 Watch the weather and visit Zion National Park (or other red rock areas) right after a snowstorm. It puts an entirely new perspective on southwestern Utah’s crown jewel. Bundling up and seeing iconic landmarks such as the Watchman and the Great White Throne draped in a light blanket of snow makes for a wonderful photo opportunity. 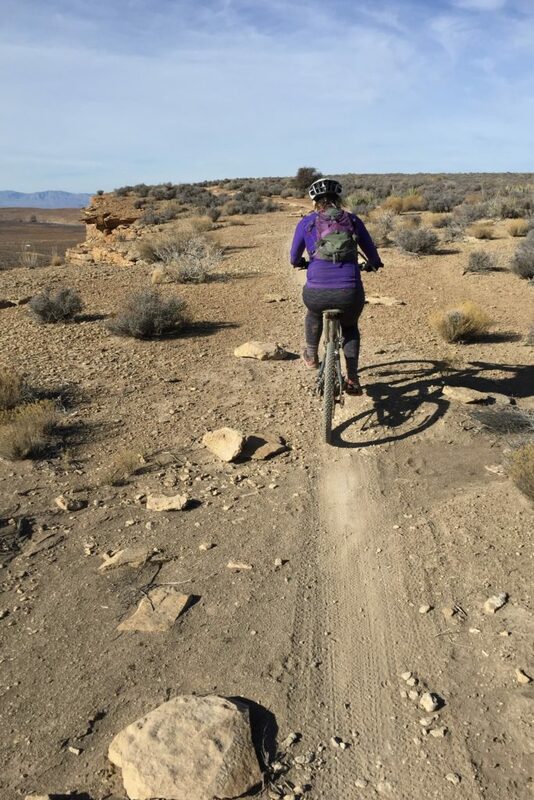 Winter is an ideal time to mountain bike in southwestern Utah when temperatures are not too hot and the area delivers fantastic trails that some say rival Moab’s trails. 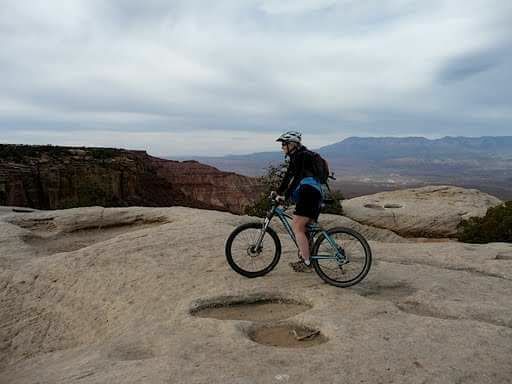 For information on area trails, utahmountainbiking.com is an excellent source with web pages describing trails in both the St. George and Hurricane/Gooseberry Mesa areas. Local bike shops are also a great source for local mountain biking information, such as Hurricane’s Over The Edge Sports, which sells a map of area trails that can double as a sweat rag or glasses cleaner, and Red Rock Bicycle, which features an interactive trail map on its website, along with Rapid Cycling and Bicycles Unlimited in St. George. 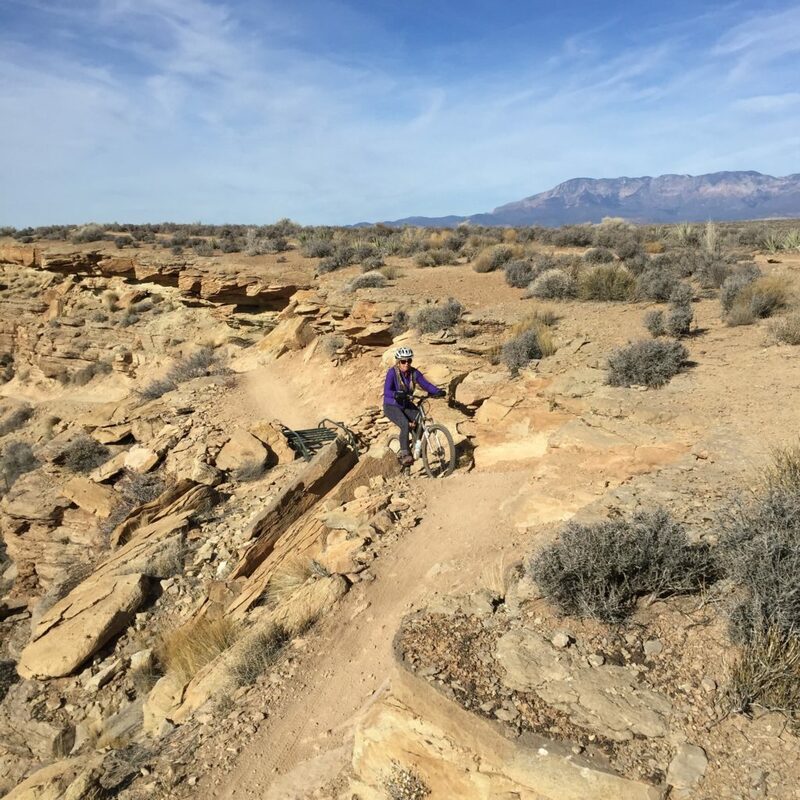 For those just getting into mountain biking, a fantastic beginner trail, which is part of the JEM Trail system, located up state Route 59 just over 5 miles from downtown Hurricane, is More Cowbell, which circles atop a mesa with minimal elevation gain. It can be combined with Dead Ringer or other trails of the JEM system for more of a challenge. 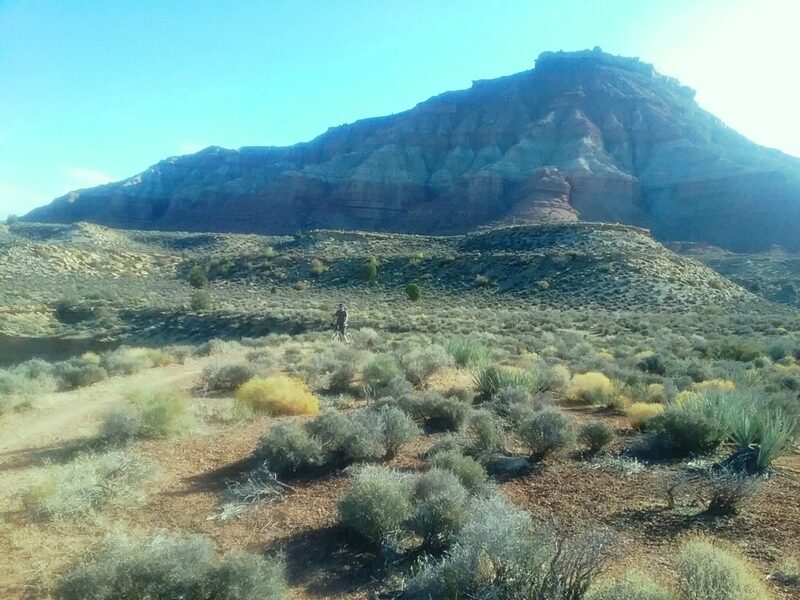 Winter is an ideal time to see scenery in Southern Utah that one normally wouldn’t see from a paved road or trail (hiking or mountain biking). 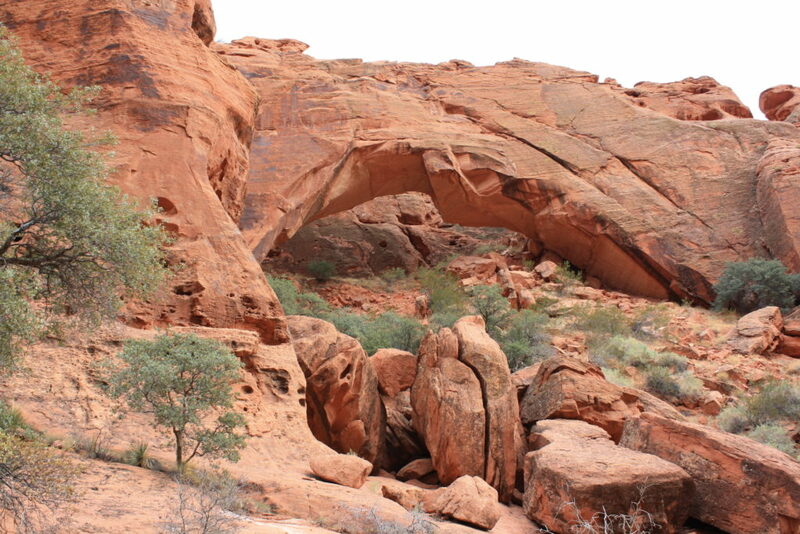 An ATV tour will take you into the backcountry and provide different perspectives on the area’s red rock landscapes. 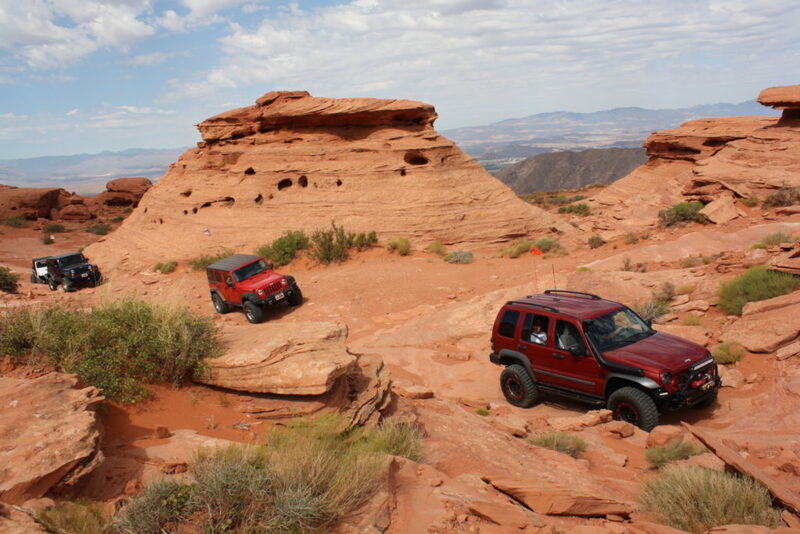 Several different companies provide tours, including ATV Adventures, UTV Adventure Tours, Southern Utah Adventure Center, Mild to Wild Rhino Tours and Zion Country Off-Road Tours. The two major ATV events in Southern Utah take place in the winter, too, including Winter on the Rocks during the third weekend of January and the Tri-State ATV Jamboree in early March. 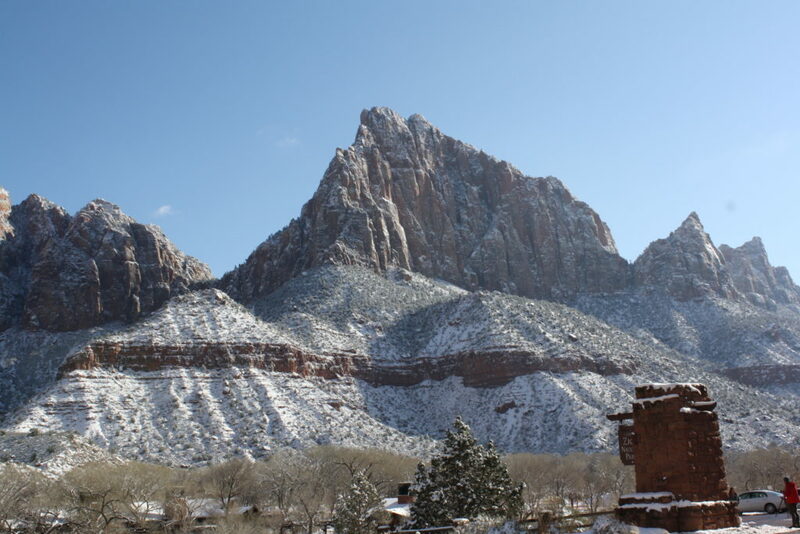 Winter is still hiking weather in Southern Utah and other than the ever-popular Zion trails, Snow Canyon and Red Cliffs Desert Reserve have excellent trails. 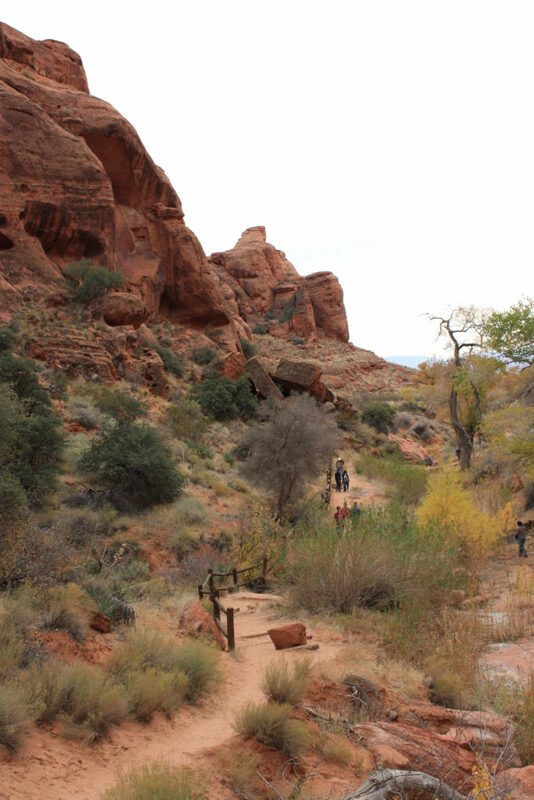 In fact, one Snow Canyon Trail, Johnson’s Arch, is only open in the winter and is well worth it as you feel like you stepped into Arches National Park. The holiday season is when more hearts are turned towards service and there are plenty of opportunities to serve in Southern Utah, including the St. Grace Episcopal Church Soup Kitchen. For many other opportunities to serve, take a look at justserve.org and volunteermatch.org.